With an open platform, many versions, and possible security concerns, is Android capable of serving as mobile enterprise software? As a Linux-based system, Android is an open-source platform, which means it’s more flexible and gives IT opportunities to customize. While that flexibility can be great for tech-savvy companies that want to customize their system, it also makes the platform difficult to maintain and raises security questions for mobile business use. With so many versions of its versatile platform, companies want to know: is Android too fragmented for safe enterprise use. We explore the issue and suggest considerations to make before switching to an Android-run mobile field service operation. Obviously, security is a bigger concern for enterprise mobile users than individual consumers. In order to compete for enterprise business, operating systems need to prove they can safely store business information; and with Android’s roots in the consumer space, there is some uncertainty regarding whether or not the platform can provide the level of security businesses need. 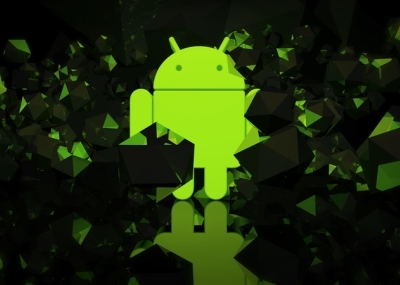 There have been dozens of different versions of Android released over the years and within those versions, developers have toyed with the foundation to make the platform do what they want, fragmenting the system in the process. Now, with so many variations, companies are wondering whether Android is consistent enough to provide security for their business. Could Android L be the Answer? Enable or disable other apps and set restrictions on them. Configure intents to be forwarded between the primary account and the managed profile. Wipe all the data associated with the managed profile. Android seems to be updating its platform for business needs, increasing security, and improving API design, but before you make the switch to Android, here are some field service specific considerations to make beforehand. 1. Make sure your field service app runs cross-platform—A cross-platform application allows you to run your mobile field service operation on any device or system. This way you can experiment with different platforms, like Android, without the need to switch the software you use to manage your business. 2. Invest in field service software with support—With so many versions and changes that come with Android, it’s in your best interest to invest in a service management app with Android support included so you have someone to call when issues arise so you don’t overworking your internal IT people. 3. Stick to the newest versions of Android and upgrade often—Android seems to have had enterprise use on its radar for a while now and it’s making advancements to improve security and speed for businesses. With that in mind, you’ll want to take advantage of system updates by implementing the newest version of Android software on whatever device you choose. 4. Be flexible—Finding the perfect mobile solution for your field workforce can be a challenge and might require some trial and error before you find the right platform. Be flexible, prepare your company for change, and open yourself up to new options as platform updates and opportunities arise. So back to our original question: Should Android fragmentation be a concern for your mobile field service solution? The answer: Probably not, if you do it right. By following the above considerations and taking into account the advancements Android has made in the last few years to appeal to businesses, I’d say, Android is at least worth a second look when choosing the most versatile operating system for your mobile strategy.